Sacramento commercial spaces are no stranger to pest problems, and we’re here to help with our long-term pest control methods. Reach out for more information on how we can provide a long-term pest control solution. 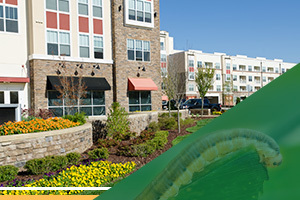 Regardless of the type of commercial property you own or manage, we can help keep it pest-free. Having pests in your building is bad for business. 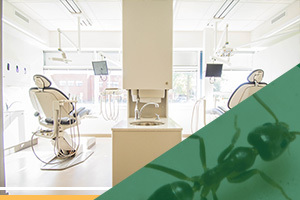 Your employees, clients, or customers will quickly find a pest-free competitor if they find themselves surrounded by creepy crawlies and critters (especially critters). We provide effective pest management to get rid of the current infestation and keep future intruders out while doing our best to limit the use of harmful pesticides — keeping your commercial space a safe place to be. We also offer quarterly pest management plans to ensure your commercial property remains pest-free. Learn more about our services today! We serve a huge area in and around Sacramento! No business is unaffected by insects and the damage they can cause. Commercial pest control is actually a major concern to discriminating business owners and managers in the Sacramento area. Besides being just distasteful and annoying, pests like termites, cockroaches, ants, bed bugs and mosquitoes can be harmful to your business and property. You risk the negative economic impact of pests the longer you wait to find a reputable commercial pest management company like ours. Whatever the pest problem, we are prepared to solve it thoroughly and effectively as your dedicated Sacramento commercial pest control experts. There are many different benefits to hiring a pest management company to perform maintenance at your commercial business. 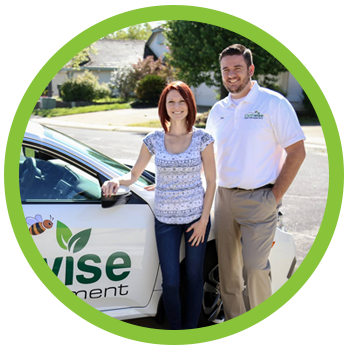 If you are ready to commit to a company that you can rely upon, find out what some of the perks of hiring Earthwise Pest Management are below! We have years of experience working with commercial business owners. This helps us to identify any vulnerabilities that might be present in a building’s structure, that would allow for pests to have access to the interior of the space. We can help to seal up these entryways lending to pests being unable to invade your business any further. We know that when you discover there is a pest problem in your business, you want to have it taken care of quickly and discreetly. We will go above and beyond to ensure that your issue is resolved in no time and with the utmost discretion. Earthwise Pest Management staff never cuts any corners. When you hire our team as your commercial pest management experts, you can have faith that we will get the job done right the first time. Whether you need maintenance services, emergency response, an inspection, or simply more information about pest management, we can provide you with all of it. There are few things better than feeling as though you haven’t forgotten any aspect of your business. This includes pest control. Knowing you have hired a professional team who successfully took care of your pest problem will offer you relief and allow for you to place your attention elsewhere where your business is concerned. Ensuring that you are offering a safe space for tenants to live is likely your number one priority as the owner of an apartment building or complex. Not to mention, having a desirable and pest-free apartment complex is likely to lead to tenants that are willing to pay a higher cost for a home that is in fantastic shape. When you choose to have your apartment complex protected by the services offered by Earthwise Pest Management, you will have peace of mind knowing that you can show your property without having to hide anything at all. Don’t let bugs, spiders, and rodents prevent you from being able to rent out your property. 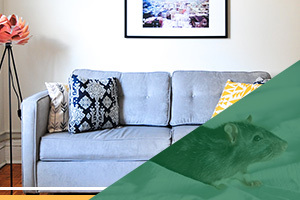 Call our apartment pest control team in Sacramento today. 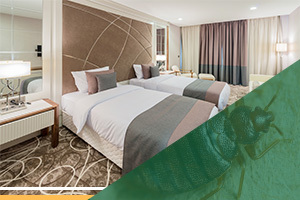 We know that Sacramento pest management can be quite a challenge when it is happening in the hospitality industry. After all, you have people coming and going constantly, bringing with them unwanted visitors from time to time. On the other hand, this is precisely why you should hire a professional hotel pest control company to handle these issues for you. By taking preventative action, you can ensure that your hotel is a desirable destination for all those who choose to reside there for a night or more. Besides eliminating pests that are already present, Earthwise can also offer a number of other services where pests are concerned. We can provide pest exclusion services to keep pests from entering your building in the first place, commercial bed bug control, and even bird control in certain cases. 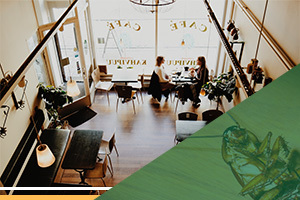 We know you want to offer the very best stay for your guests and the first step to doing so is to offer them a pest-free location in which they can stay by calling your Sacramento commercial pest control company. Plain and simple, the fundamentals of pest control are all based in science. This is why we urge the owners of commercial spaces to hire professionals when in need of getting rid of bugs, spiders, or rodents. At Earthwise Pest Management, we bring our expertise to a number of different entities to help prevent the spread of pests and the havoc they often bring with them. This includes spaces that serve as a gathering place for a variety of government-affiliated organizations. 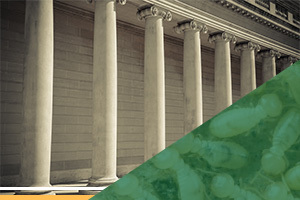 If you work in a government building and you are experiencing issues with rodents or bugs, we would suggest that you contact our Sacramento commercial pest control team as soon as possible. It doesn’t take very long for a few bugs here and there to turn into a full-blown infestation. Gyms, as very high-traffic facilities, offer a habitat that pests absolutely love. Not to mention, with so many people coming in and out all the time, someone is bound to bring a pest or two with them eventually. This is why you need to hire a professional Sacramento exterminator to come to handle any issues you may be having in your gym with silverfish, cockroaches, and more. 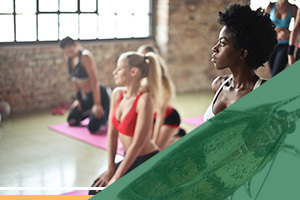 Not only can we eliminate a pest infestation entirely, but we also are able to make your space more secure so that you can prevent future pests from entering your gym. We also offer quarterly pest management services in Sacramento and the surrounding areas to help keep bugs at bay year-round. When patients come to a medical office, they have certain expectations. The first of which is that they are going to receive expert medical care. The second is likely that they are going to be undergoing whatever procedure they have planned in a facility that is clean and sterile. This means there shouldn’t be any pests in sight at any time when a patient enters your office. It is not enough to simply wish that your office remains pest-free, however. In order to ensure that this is the case, you’re going to need to hire a commercial pest control company. And don’t worry, Earthwise knows precisely how to work in a sterile field so that no contamination occurs. You are surely in good hands with our experienced team whether you are looking for commercial rodent control or help with bugs and creepy crawlies. An office is a very fast-paced environment in which people have to work. Between phone calls, meetings, and more, however, you don’t want to hear at all that business has come to screeching halt because of an incident with a bug or rodent. This loss of productivity could lead to a loss of revenue and that is surely the last thing you want. 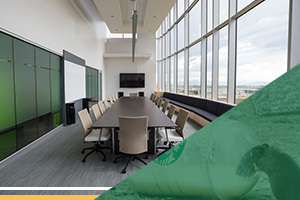 Earthwise Pest Management can offer you a prevention and treatment solution for your office building so that you can ensure you no longer have to worry about pests showing up while your employees are hard at work. Just give our commercial pest management company in Sacramento a call and we’ll set up an appointment! There are not many things that can ruin the reputation of a property or how many people want to live there more than a pest problem. Issues with pests are something that people will not bite their tongue about, especially when it comes to a place they may want to potentially live. However, when you have an experienced Sacramento pest control company on your side, you can ensure that bugs and rodents will be thoroughly eliminated from your property. We will also put a pest prevention plan into action as well. This will lead to more occupants, happier tenants, and a more successful endeavor for you in the long run. When you own a business that revolves around food, one of your main concerns is cleanliness. This means that the last things you want to worry about are pests like ants, cockroaches, and mice being in your space. Lucky for you, Earthwise Pest Management can help you. Not only can we perform an initial inspection of your facility, but we will also identify, treat, exclude any pests that we find. We can also help you to better understand how to prevent pest infestations in the future, as this is the business we know the best. Feel confident bringing patrons into your establishment knowing it is pest-free thanks to your Sacramento pest control team at Earthwise. When it comes to being a school or university, you need to have an environment that is conducive to learning at all time. Having something as simple as an ant infestation, however, can cause much distraction to those who are invested in their studies. When you hire a pest management solution company like Earthwise, you can ensure that any and all pests that may be infiltrating your space will be eradicated in no time. If you want kids to enjoy their time in school, one of the steps should be to keep pests out. 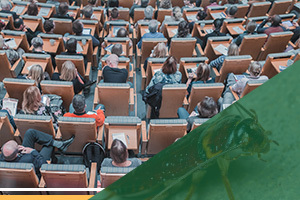 We have the capacity to handle commercial pest control jobs ranging from small home schools to giant universities, so you can count on Earthwise as your pest management team regardless of your needs. If you want to keep pests out of your inventory, hiring a commercial pest control company is going to be an important step. Pests can not only threaten the goods that are stored in your retail space, but they can also threaten your reputation. Whether it be rodents, flies, termites, or other pests, you need to get them out of your space as soon as possible before the damage is done. 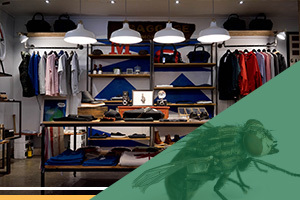 Contact your pest management team in Sacramento today to have our expert pest control technicians come to your store to get a better idea of what your pest situation entails. Depending on your personal needs, we offer different pest treatment programs at Earthwise Pest Management. You can choose whether you would like pest control services in your commercial space monthly, bi-monthly, or quarterly. It all comes down to what you want and need. As your Sacramento exterminators, we’ve seen it all and we can also recommend a program for you if you are unsure about how often your building should be treated. At the end of the day, we are here to give you a solution to your pest issues, whatever that means to you. Give the Sacramento commercial pest control experts a call today at 916-254-7528 for a free inspection or for expert pest management services in Sacramento and beyond.